She’s got that looking cute thing down pat. 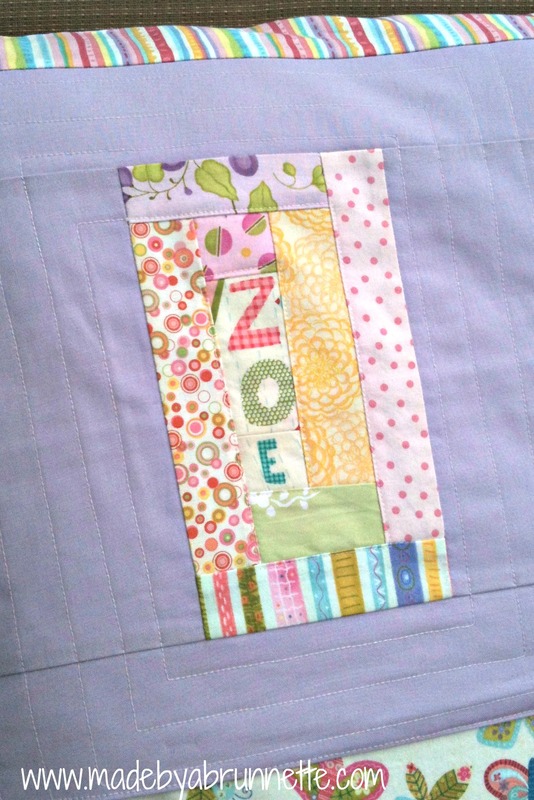 😉 My sister has been planning Zoe’s big-girl-bedroom for a few months now, and when I was at Gruber’s last month, I started cutting hexagons for her twin bed quilt (see bottom right photo:) Friday, I started to make a pillow that will match her big-girl quilt. This was probably as much a birthday gift for her Mommy as it was for her; but keep reading, Zoe liked her gift, very much. My sister has always loved animals of all kinds, and the inspiration fabric I bought for the quilt is covered in butterflies, and is being used for other items that will go in her room, too. 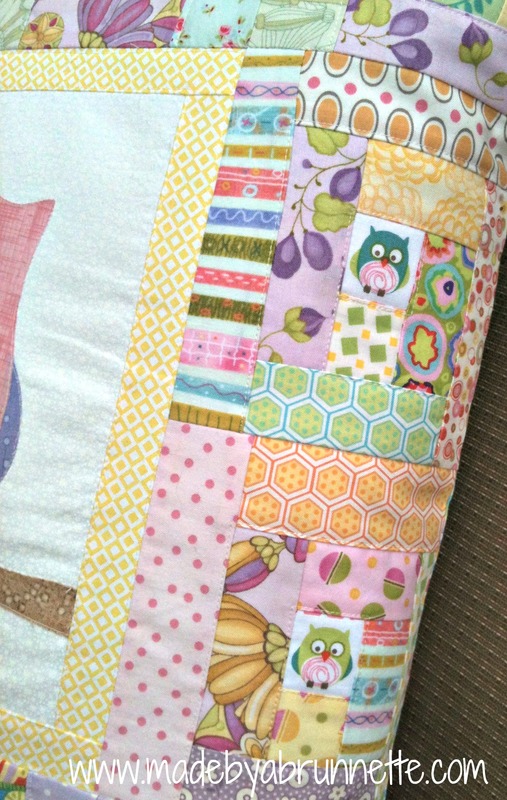 And, I have been dying to try our One Big Cabin quilt pattern in feminine colors, ever since I first drew the animals… so…. Ta-Da! 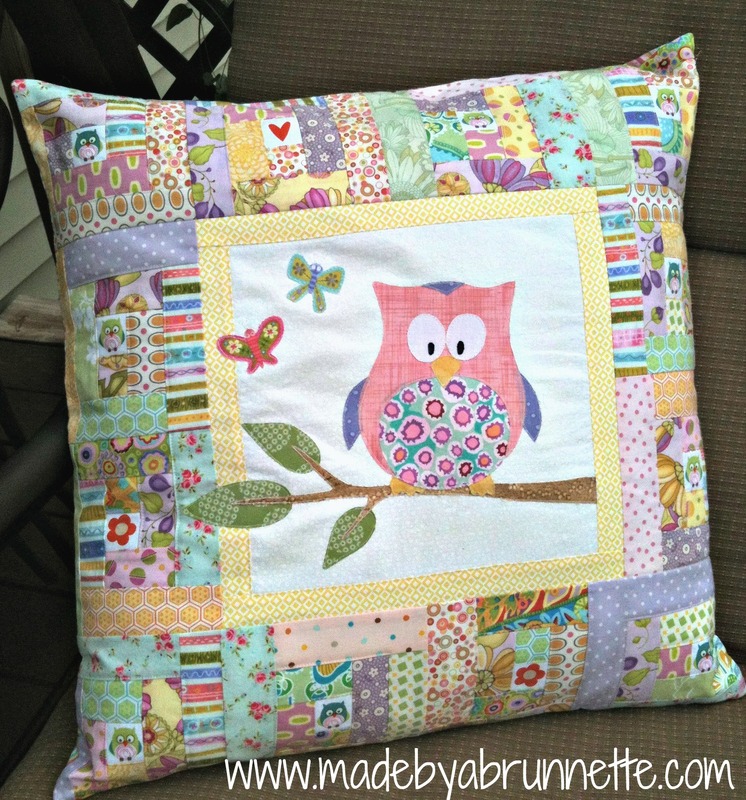 A pink owl pillow, with two pretty butterflies (fussy cut from the inspiration fabric) surrounded by scrappy log cabin blocks made from all the fabrics in her quilt! Isn’t that pink and purple owl precious? 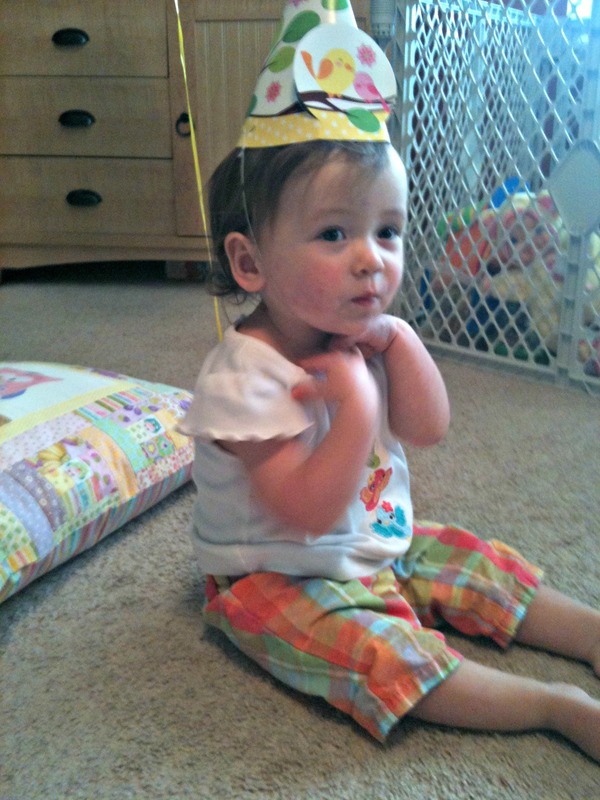 Well, not as precious as that sweet baby girl up there, but it is pretty cute. 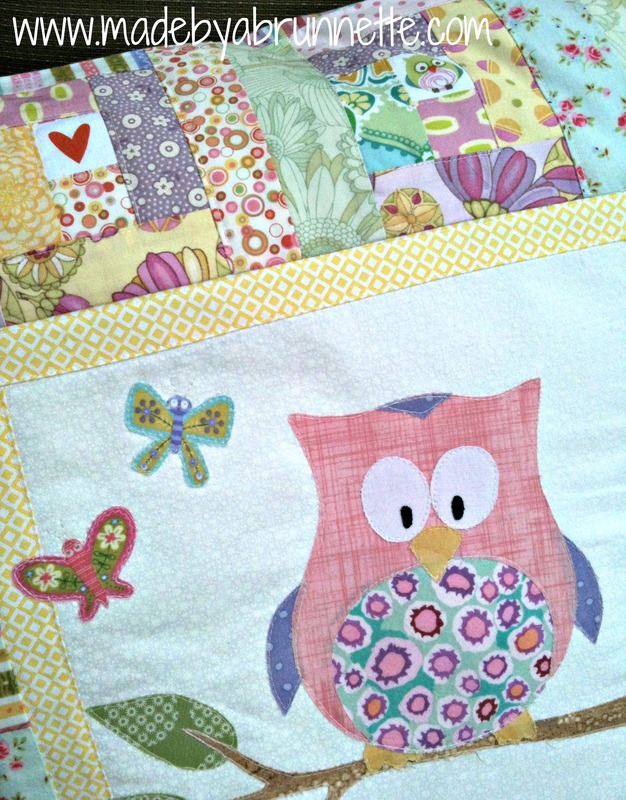 There are 9 little owls hiding in the log cabin blocks, as well as some fussy cut flowers and one red heart. These are from a Rile Blake fabric by My Mind’s Eye. I don’t think she could be any cuter, and your pillow looks great. 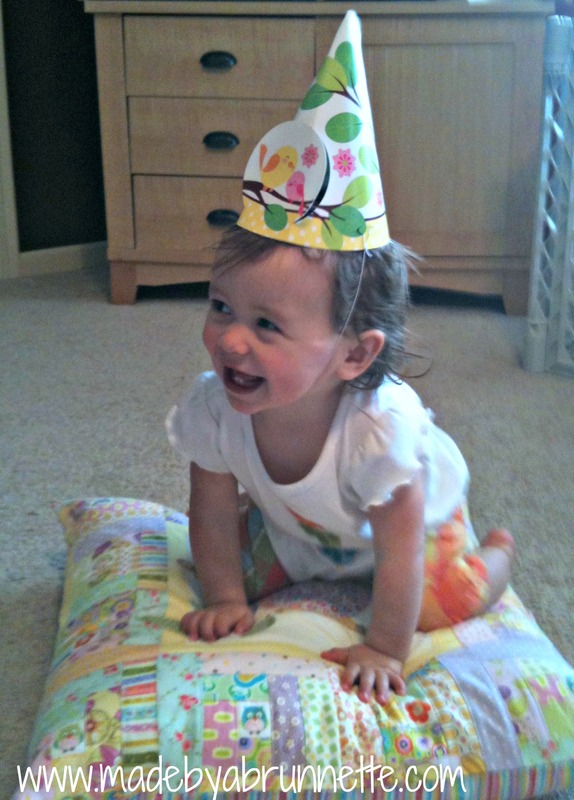 She obviously has great taste like her auntie! 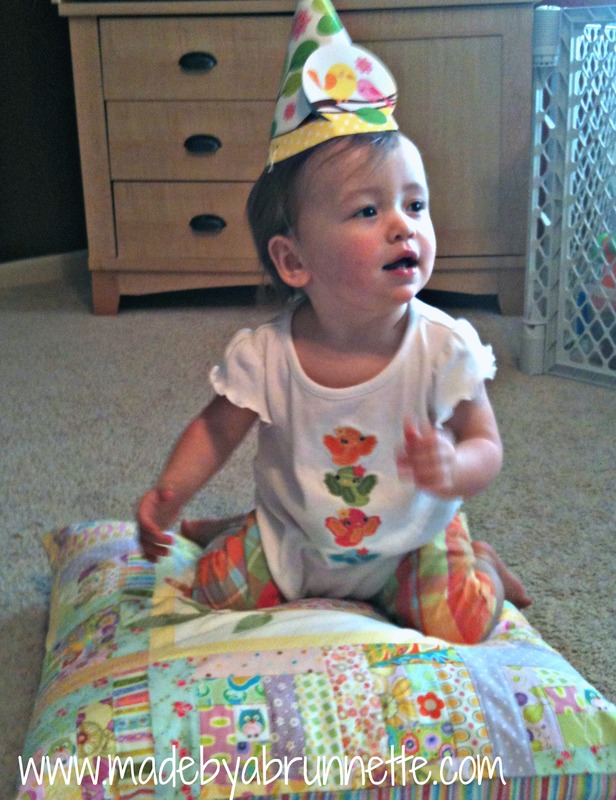 Congratulations on your second published pattern! I’m proud of you! So So a.d.o.r.a.b.l.e. — both your niece (very photogenic) and the comfy pillow!!! 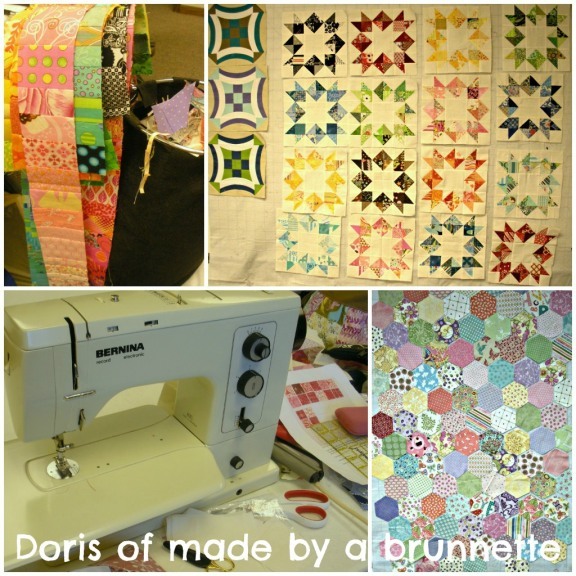 Congratulations on the new Doris & Trina pattern. Was glad to receive the email announcing its arrival! Doris, that is just AMAZING! It is so cute in every way….the owl applique, the hidden owls, the log cabin blocks in all the great fabrics, the name on the back. I would LOVE that, too! 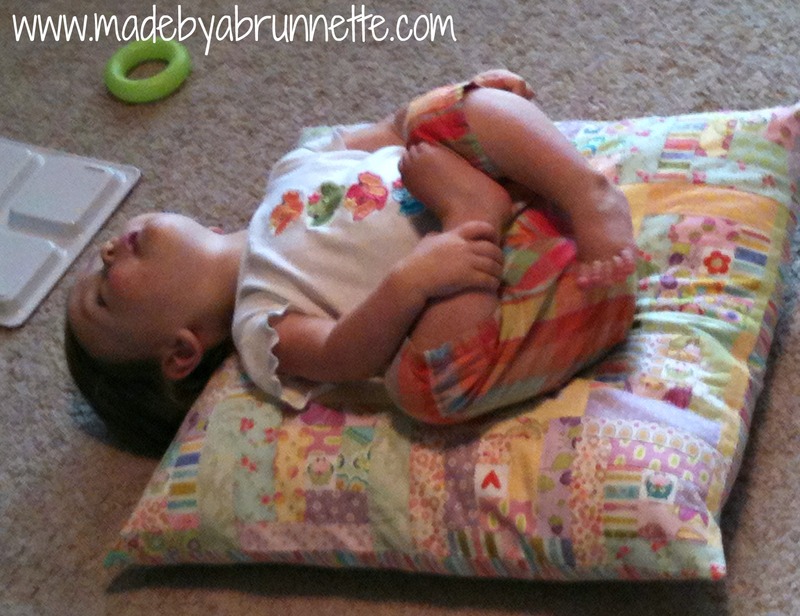 And I love your joke about baby yoga poses. Too funny! I love this! Oops, Doris, I hit return before I entered all my information! Sorry! 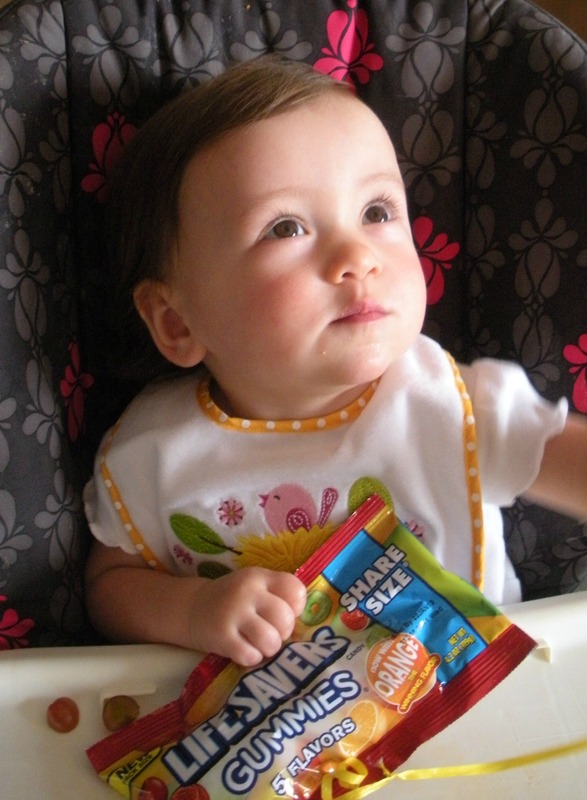 Zoe is precious in any color! 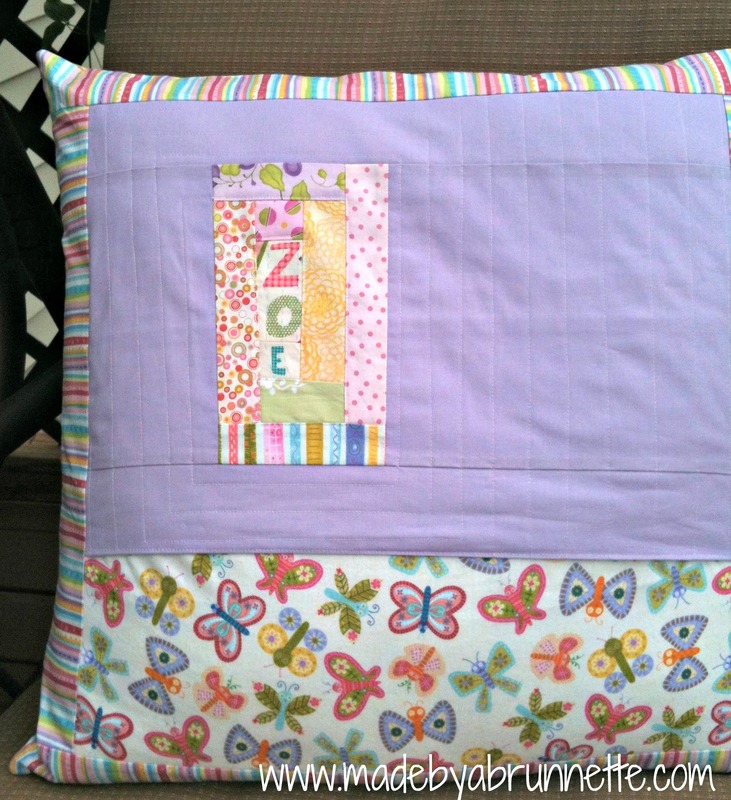 Zoe is a blessed little girl – that pillow is to die for!